Have a look at this collection which is sure to allure you and help you mark your position as a fashionista. For a regal look pick up this tweaked version of Anarkali which speaks of grandeur and elegance in it’s every fiber. Dashed in the hues of red and blue, the entire Suit looks simply stunning. The high collars all worked up in zardosi hints at the glamour quotient which perfectly blends in with the monochrome body shade of the kurta. The highlight however, is the front slit cut, which reveals the gorgeously all worked up bottoms unveiling a princess look. Adding a modern touch to the traditional Anarkali style, this pattern easily fits into the contemporary category. Detailed of the back embroidery work along with the zardosi patterns in the hemline ooze out an opulence which is drop dead appealing in charm. 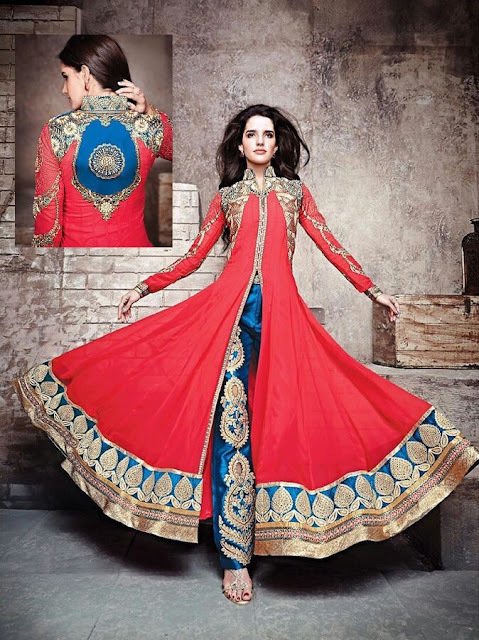 Inspired by the western jacketed look, this modified version of Anarkali is sure to catch attention of one and all. The upper torso enunciates a velvet jacket form of layer which is marked by the uneven hemlines to create a dramatic appeal. The color combination of yellow and black strikes a perfect balance enhancing the overall appeal. Intrinsic embroidery work on the jacket makes a style statement giving you that unique look which you have been yearning for. 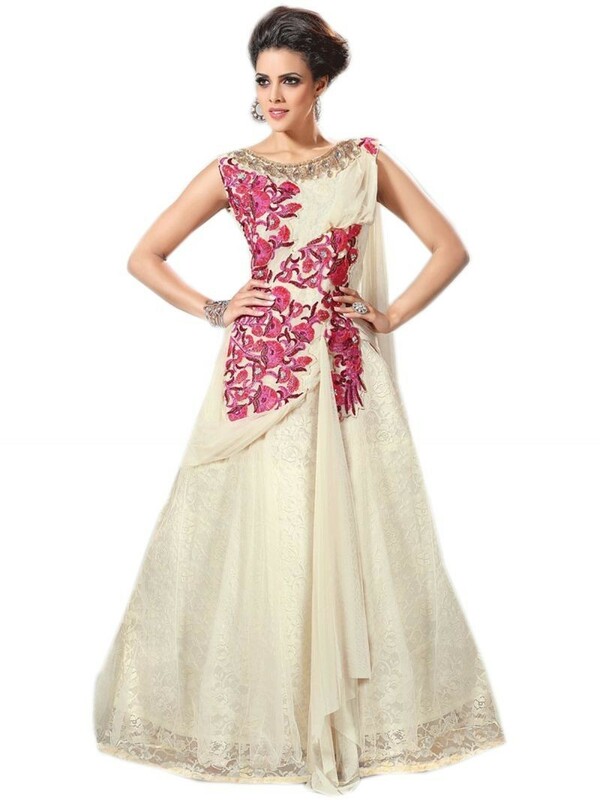 The resham and zari work complement each other to complete the ensemble. Pair it up with stilettoes and loud accessories to complete the look. This long anarkali suits is truly eye catching with its twist from the mundane pattern. Apt for parties and weddings, these hot picks are simply amazing. With proper accessories one can actually get a ravishing look in no time. So what are you waiting for? Pick up these suits and create a style statement of your own.